Have you listened to Priests’s Don Giovanni Records debut yet? When they played at Graveface Records & Curiosities in early 2014, it was clear that the band, who had self-released a 7″ and two short cassettes before signing with the New Jersey label, was a perfect addition to the Don Giovanni roster – unstoppable, unapologetic, and difficult to pigeonhole. You could feel the paint peeling off the walls as vocalist Katie Alice Greer growled, swayed, and pushed her voice to the brink. EP Bodies and Control and Money and Power is a split release between Don Giovanni and Priests’s DIY label, Sister Polygon. 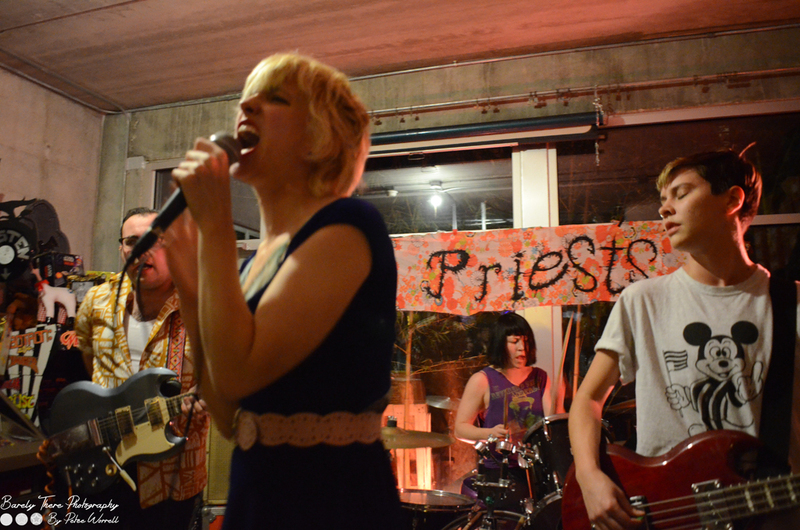 In this writer’s opinion, Priests has made the best record of 2014 thus far. In a year hyped by reunion tours and genre revivals, this is a breath of fresh air that is immediately knocked out of you with full force. 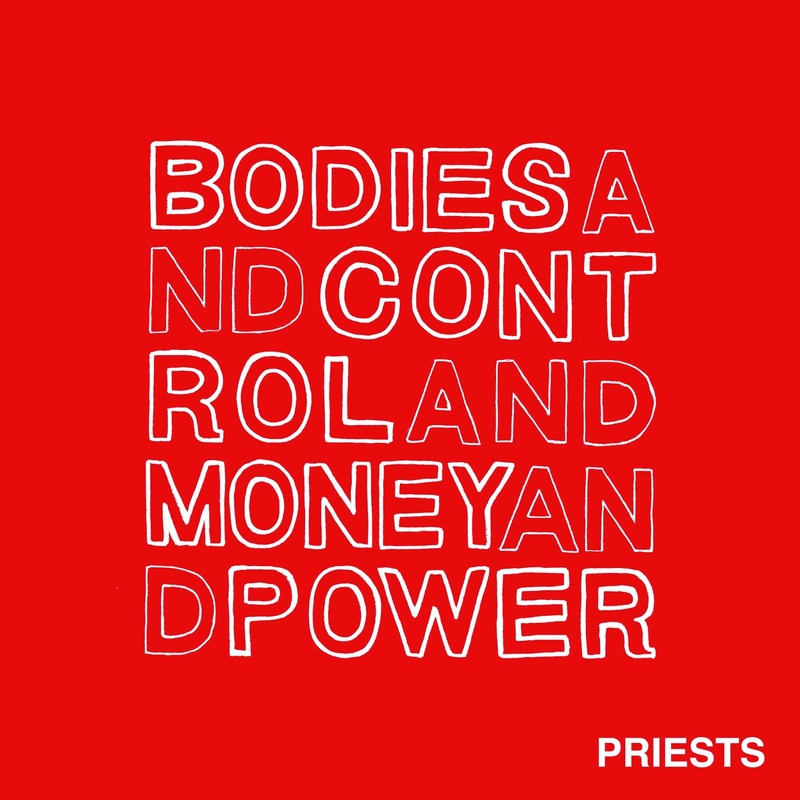 Bodies is a mere 17 minutes long, but it feels so much shorter–right off the bat, Priests completely envelop the listener and demand full, undivided attention. I feel like on so many of 2014’s releases, the vocals are hiding in the mix. Not so for Priests–from the dancey, infectious kick-off “Design Within Reach” to the heart-stopping “And Breeding” closer, we experience Greer reach the ceiling of her range and smash right through it. “Modern Love/No Weapon” is one of the most vocally compelling tracks I’ve heard, period. Just go listen and try to keep a steady heart rate. Bodies also shows off some incredibly inventive bass work. “Design Within Reach” flips between foreboding, swelling notes that ring like some sinister warning bell and contagious new-wave dance rhythms. Dancing to Le Tigre/B-52s-esque beats beneath blistering lyrics that scrutinize immigration, body politics, and democracy as a whole? Please, and thank you. Priests throw everything they’ve got at you with full force. It’s lyrically and conceptually challenging, and complete, transfixing fun. Order/download here (or better yet, go order one from Ryan & company at Graveface! ).